Keith Bowman, peacefully on Monday, January 21, 2019 at Northumberland Hills Hospital, Cobourg in his 95th year. Beloved husband of the late Mae Bowman (nee Vout). Loving father of Richard (Wendy), Katherine (George), Craig (Debi) and Cynthia. Cherished Grandpa to many grandchildren and great grandchildren. Dear brother of Harold (Ruth), the late Lawrence and the late Alvin (the late Dorcas). Also missed by many nieces and nephews. 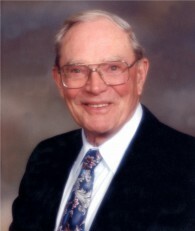 WW II Veteran and longtime employee of Lang & Smith. Special thank you to the staff of Port Hope Extendicare for their care and compassion. Also, thank you to NHH Palliative Care staff. A memorial service will take place at MacCoubrey Funeral Home Saturday May 4, at 2 p.m. Those wishing may make a donation to Calvary Baptist Church or Sick Kids Hospital. Condolences received at www.MacCoubrey.com. Saturday May 4, 2 p.m.